This national, panel-based, symposium brings together leading voices in architecture practice, academia and related fields, who are changing the way we see and understand architecture. The annual event challenges?current practice, examines contemporary issues, and proposes new solutions to the future of architecture practice.? TICKETS:?Registration for POP // CAN // CRIT 2018 is now open! ?Register here.? WEBINAR:?POP // CAN // CRIT 2018 will be hosting a live webinar of the symposium. Click?here?for webinar registration.? POP //?CAN //?CRIT 2018 attendees will be eligible to receive structured continuing education?learning hours. ?Continuing Education Certificates of Attendance will be issued by the Royal Architectural Institute of Canada. ?Please consult your provincial association for the specific con ed requirements of your regulator.?? How do the art of architecture and the art of business come together? How is the subject of business being taught within schools of architecture? What does it mean to practice architecture? What does success mean to the architect?? 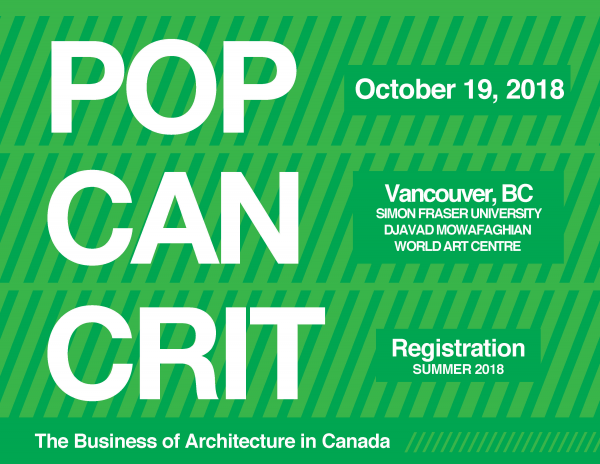 POP // CAN // CRIT 2018: The Business of Architecture in Canada will explore these topics and more through a series of panel discussions in a day-long symposium on October 19, 2018 in Vancouver. This is the third national symposium in a series that looks at contemporary topics related to the intersections between the public understanding, education and profession of architecture, specifically within our Canadian context.? The 2018 symposium will bring together leading architects, academics, media and business strategy personnel to discuss the business of architecture in Canada. Panel discussions will focus on how business topics are being taught in architecture schools in Canada, how the art and business of architecture come together, how architects are finding their niche within the increasingly diluted design and construction industry, as well as how and whether architecture firms are succession planning – and what does that mean for the future of architecture in Canada.? This panel will delve into the influence and importance of marketing, communications and the media with respect to the business and practices of architecture. 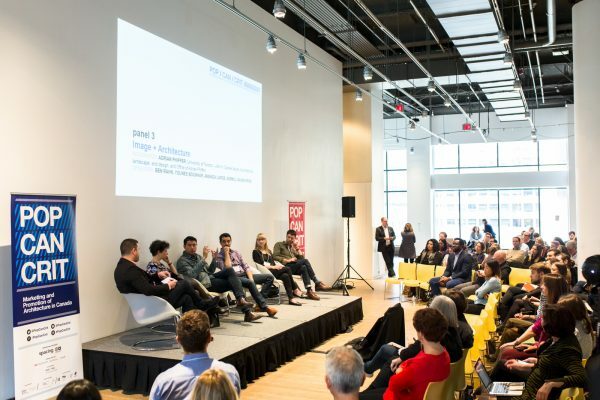 The panel will bring together topics discussed in both of the two previous POP // CAN // CRIT symposia, through the lens of architectural business practices. It will ask the question: How do firms find their niche or communicate their worth within the increasingly diluted design and construction industry? This panel will examine the ‘art of architecture’ and the ‘art of business’ within the practice of architecture in Canada. It will look at how business practices can foster creativity and innovation through “best practices”, how firms structure themselves, succession planning, and the threshold from small firm to mega corp. For, it is not a question of whether architecture is a business or an art, but rather, how can a firm do both simultaneously and successfully. This panel will place focus on the increasing awareness of the gender gap that exists within the architectural profession. It will look at how women have, and are continuing to break the ‘glass ceiling’ metaphorically and in their design work, as well as the systemic causes for this inequality. It will close by suggesting changes that need to take place within the profession in order to overturn such barriers. This panel will also look at how sexism in the field of architecture can begin in the schools of architecture themselves, leading to a “normalization” of the practice later on in ones work life, and what can be done / is being done to change this. This panel will look at the overlaps and divisions between the study and practice of architecture. 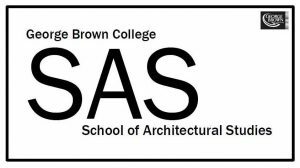 It will explore how the business of architecture is currently or not currently being taught within Canadian schools of architecture, and look to suggest areas of growth within the education of professional practice but at a degree and post-degree level. This panel will also look at the internship process and first years of practice for emerging practitioners. It will question how firms can better foster their staff in these highly developmental years, and look to see how some firms are working to formalize intern support. Speakers will be asked to participate in a special roundtable discussion. The aim of this roundtable is to mobilize cross- disciplinary knowledge and research on contemporary architecture and open the conversation to the public. Stay tuned for information on speakers, panels and schedule! Stay up to date by following us on?Facebook, Twitter, and Instagram! Catch up on past editions of ?POP // CAN // CRIT below! Interested in sponsoring, supporting or getting involved in POP // CAN // CRIT 2018? 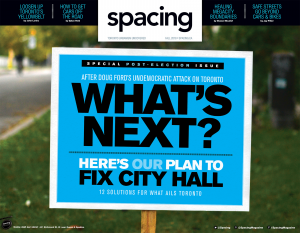 Contact us at popcancrit@spacing.ca? Thanks to all our sponsors, speakers, moderators and volunteers for making POP // CAN // CRIT 2017 a success! In what ways do we market architecture? How can we best advocate for the profession? And what impact does a photograph have on our understanding of the built environment? These are but a few of the questions that will be explored at the upcoming POP // CAN // CRIT 2017 symposium. This day-long series of panels and discussions will take place on October 27, 2017 at the Design Exchange in Toronto. It is the second in a progression of symposiums that are meant to look critically at contemporary topics related to the intersections between the public understanding and profession of architecture, specifically within our Canadian context. This year’s event will bring together the country’s top architects, marketing professionals, photographers, advocacy groups, and media to discuss and debate the vital roles the architect, media, marketing personnel and public play in shaping the general discourse surrounding architecture. It will also feature various panels exploring topics including: Architecture as Icon/ Toronto Condo Revolution, Advocacy and Activism in Architecture, the Image of Architecture, and Marketing as a tool for Architecture. POP // CAN // CRIT is funded in-part by the Social Sciences and Humanities Research Council (SSHRC). Check out the photos of POP // CAN // CRIT 2017 to see who attended. 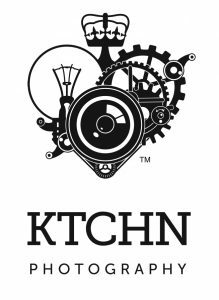 Images provided by KTCHN Photography. For the?full program and list of panels, please download our event schedule?[PDF]. This panel, focused on the role of marketing within the architecture profession, seeks to debate the relevancy of marketing to architecture. How has marketing and/or promotion benefited the profession or the publics’ opinion of architecture? How has it harmed? What does marketing mean to the architect/ professional/ public, and how will it be used in the future? As we are living in an increasingly globalized society, this panel will examine Canada’s role in the global architectural marketplace. Panel 3 will discuss the perceived lack of public understanding regarding the role of the architect and architecture to society, identified by academics and architects in Money: Perspecta 47. Here, panelists will be asked to describe examples of best- practice projects that have successfully engaged the public and promoted Canadian architecture and architects. Panelist can describe personal projects and organizations and how they advocate for the profession and architecture. The purpose of this panel is to explore innovative ways in which architecture can be meaningfully shared with the public. We ask professionals from across disciplines of architecture, marketing, photography and media, how they use marketing as a tool to educate the public on Canadian architecture. How has architecture and the job of the architect been communicated through photographs? This topic will examine the role of the media in conveying the importance of thoughtful design and architects through images. In a recent TED talk Marc Kushner, architect, entrepreneur and author, suggests that the public will shape the future of architecture through today’s media revolution, where they have the power to shape architecture through social media. He says that social media, and the advanced rate at which images are now shared through it, has changed the relationship between the public and buildings. In this panel we discuss Kushner’s idea and ask how images affect the public’s understanding of architecture? This panel is aimed at examining the use of architecture and/or the architect as a brand employed for selling or promoting. Since the emergence of the ‘Bilbao effect’ in 1997, when Canadian architect Frank Gehry’s Guggenheim Museum achieved national publicity for the Spanish city, there has been a desire for iconic architecture that will fuel tourism and the economy. This panel will explore the cultural aspiration for ‘famous’ international architects to design local projects in urban centres. This ‘starchitecture’ effect has led to the collection of almost identical architectural icons in cities such as Toronto, London and Dresden, amongst others. Panelist willdebate and discuss how this type of branding has affected the public’s understanding of architecture and our national image. This panel will also explore the concept of ‘condominiumization’ in Toronto introduced in PARTISAN’s recently published book, Rise and Sprawl. Panelist will examine the nature of advertising residential projects to the public and its effect on public understanding of design. What role do architects, photographers, marketers and digital specialists play in selling these projects? Speakers will be asked to participate in a special roundtable discussion on the role of marketing in architecture. The aim of this roundtable is to mobilize cross- disciplinary knowledge and research on contemporary architecture and open the conversation to the public. The symposium will take place at the Design Exchange in Toronto, 234 Bay Street. ? ? ? ? ??? ? ? ?? Thank you for helping make POP / CAN / CRIT such a success! 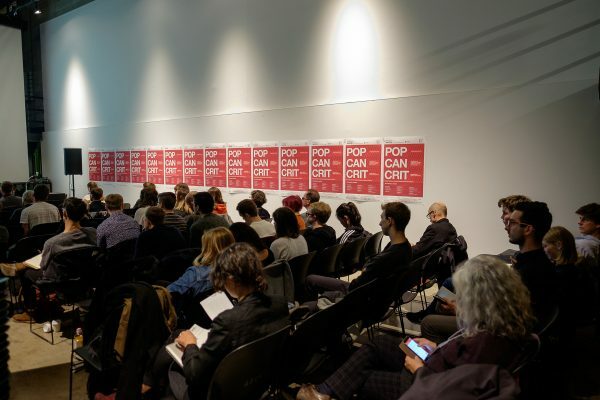 POP / CAN / CRIT: Current Conditions in Popular Canadian Architecture Criticism is a public architecture event that will investigate the conditions of architecture criticism in Canada today. The symposium will bring together 12 of Canada’s leading critical architectural voices, and will see both invited speakers and those in attendance discuss and debate the current state, effectiveness, and future potentials of a professional criticism intended for the general public. As such, the symposium will explore the public, professional, and academic conversations surrounding criticism today, as well as broaden its public audience and understanding. This is an unprecedented occasion within Canada, bringing together the best in Canadian criticism to discuss the state of criticism itself. Shawn Micallef: Spacing, senior editor,?Alex Bozikovic: Globe and Mail, architecture critic,?Christopher Hume: Former Toronto Star urban affairs critic,?Lisa Rochon: Architecture Critic, Author, Design Strategist,?Sophie Gironnay: Maison de l’architecture du Québec, co-founder and director,?Elsa Lam: Canadian Architect, editor-in-chief,?Ian Chodikoff: Architect and urban designer,?Rhys Phillips: Building and Canadian Interiors, associate editor,?Trevor Boddy: Architecture curator, critic and consultant,?David Theodore: McGill University School of Architecture, assistant professor, architecture writer,?Marco Polo: Ryerson University Department of Architectural Science, associate professor,?Maria Cook: Royal Architectural Institute of Canada, manager, communications and advocacy. Can you help spread the word about this event? Feel free to download our poster [PDF] and put it up! Spacing Radio documented POP / CAN / CRIT 2016 and produced a two-part podcast. You can subscribe to Spacing radio on iTunes or Soundcloud or listen directly from this page. Check out the photos of POP / CAN / CRIT to see who attended. Pop Can Crit 2016 from John Serviss on Vimeo. Canadian Architect editor-in-chief Elsa Lam wrote about the conference. Building magazine also wrote about the event.